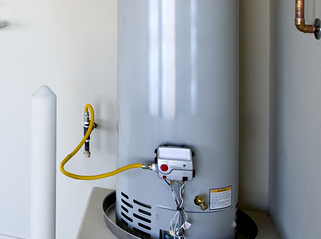 Maintaining a hot water heater is essential when it comes to owning one. A high quality water heater is typically built for long term use, having been designed for your utmost convenience. People can take hot showers anytime and experience the luxury of hot water baths right in their own home. However, even the most heavy duty and sturdy heaters are subject to wear and tear, and comes a lot sooner than expected when it is not properly maintained. Constantly check for signs or issues that may require water heater repair. It often costs nothing but a few minutes of your valuable time, yet goes a long way in saving you from big heating problems in the future. Spotting the early signs when you may need water heater repair or Water Heater Replacement in Apache Junction, AZ can also help you steer clear of unnecessary expenses. Quick Water Heater Repair Steps. Drain Your Water Heater. Sediments tend to form and settle at the bottom of any kind of water heater. This buildup can even be muddy and gritty, thus blocking the heat source from effectively heating up the water to the ideal temperature. Regular draining as part of water heater repair maintenance can keep this from happening. Adjust Temperature Settings. When temperature problems arise and your heater no longer gives off the right water temperature, try adjusting the temperature. A water heater that operates erratically may require resetting the thermostat or raising the temperature level. Check for Water Tank Leaks. Water heaters that exhibit leaks most likely fail to deliver its best performance. Leaks around the base of a tank can be an indicator of a Water Heater Replacement in Apache Junction, AZ, especially if it's served its purpose well for more than 10 years.